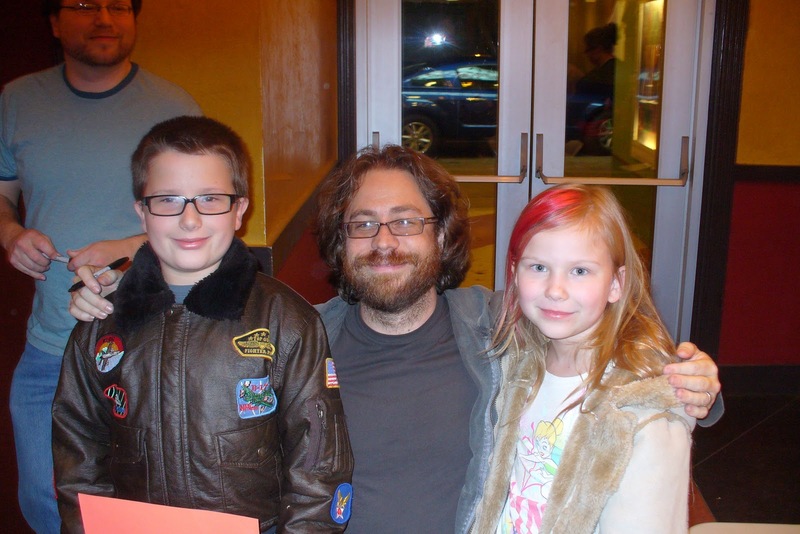 Last December, we took Portal Pirate and Blue Butterfly to see Jonathan Coulton in concert. They had a marvelous time - hearing Paul and Storm for the first time, finally seeing Jonathan Coulton perform in person, meeting all the wonderful patrons in the audience. But nothing beat after the show. Someone at the theater gave the kids extra concert posters, and they got autographs from all three performers. Then, even though it was after midnight and everyone looked exhausted, Jonathan Coulton smiled for this great photo.